This three day trip along the south-eastern Sicilian coast will bring you to Siracusa and Ragusa, two pearls of Sicilian tourism. Built by ancient civilizations, chosen by the Greeks as an ideal place for colonies, this corner of Sicily was devastated in 1693 by a terrible earthquake, after which the cities were rebuilt in the late baroque style. On the first day, departing from your hotel or directly from the airport, on board the comfortable New Travel Services cars, the staff will drive you to Siracusa. A first stop is in Brucoli, a quaint fishing village right before Syracuse. The sea creeps into the rocks on which the town is built, almost like a Norwegian fjord but in the middle of the Mediterranean Sea. After that we will drive to Syracuse, one of the most important cities in Greek culture. The car will take you to the entrance of the Neapolis Archeological Park of Syracuse, where you will continue on foot to visit the Greek theatre, the Latomie stone quarries, the cave known as the ear of Dionysus, the Roman gymnasium and the amphitheater, and the Ierone arena. At the end, our journey will continue by car to the small island of Ortigia, with its beautiful monuments in baroque style. You can also visit the Apollo temple, the beautiful cathedral dedicated to St. Lucia, and the Aretusa fountain, where the papyrus plant grown naturally from a fountain. The fountain takes its name from Aretusa, a nymph that the Gods transformed into a natural spring which runs straight to the sea. If you want you can also visit the coast of Siracusa aboard one of the most characteristic fishermenâs boat, discovering suggestive cave and enchanting landscapes. In the evening we will stop in Ortigia. The second day of this tour we will drive to Noto, known as the capital of Sicilian Baroque. This beautiful historical town, built after the earthquake of January 1693 is entered by the Porta Reale and from there you can follow the Corso Vittorio Emanuele, along which you can admire the cathedral and numerous beautiful 18 th century palaces of incredible architectural value, such as the Palazzo Ducezio, the San Carloâs church and Palazzo Nicolaci, with its splendid balcony in baroque style with its carvings of humanized animal faces. Driving along roads marked by drywalls, we will then move to Modica, built on a hill, with its small characteristic houses and facades. 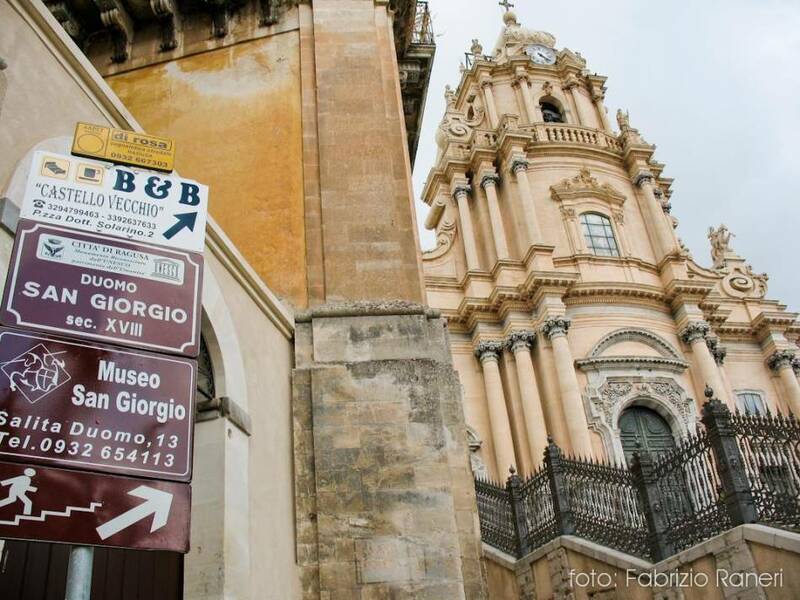 You will discover the baroque-style architecture of the churches of St. George and St. Peter, then our cars will stop at one of the most famous traditional chocolate shop in Modica, where the chocolate is made by following an old, unique and secret recipe. The next stop is Scicli famous for the production of Montalbano series, by writer Camilleri. It's a beautiful example of Baroque, such as the Beneventano municipality or palace, or the suggestive main square, typical example of a small town in the Sicilian province. After that, we will drive to Ragusa Ibla, known as one of the most beautiful towns in Sicily thanks to its historical buildings, beautiful views, and it's small typical streets. Here, at our driverâs suggestion, you will visit on foot the Hyblei Public Gardens, an English garden in the heart of Sicily, and the the main church, which is dedicated to St. George. We will have overnight stay in Ragusa, and the day after we will see the castle of Donnafugata, with its beautiful restored ancient rooms in baroque style, and its garden. Then we will drive to Punta Secca, a typical Sicilian fishing village, where the house of Montalbano is located. Lunch in a typical Sicilian restaurant is included in the tour. The tour will end in Marina Di Ragusa where you will return to your hotel. Discover the art and sea of south-eastern Sicily, with its baroque tour it is an enchanting holiday.